Lori is a Resident Artist and Mentor at The Village Potters Clay Center in the River Arts District, and you can find her there working in the beautiful galleries (on Wednesdays!) that showcase her and her studio mates' exquisite works when she's not busy working in her studio, also on site. ​You can also sign up for classes in wheel or hand building in The Village Potters' Teaching Center! Classes are taught in 6- or 8-week sessions, and have staggered starting dates, so there's likely to be a class about to start when you decide it's time for you! Whether you want to start your journey toward becoming a professional potter or you just want a place to go for some creative expression, this could be just what you're looking for. Each class meets for 2 1/2 hours once a week, with weekend Open Studio available with each session. 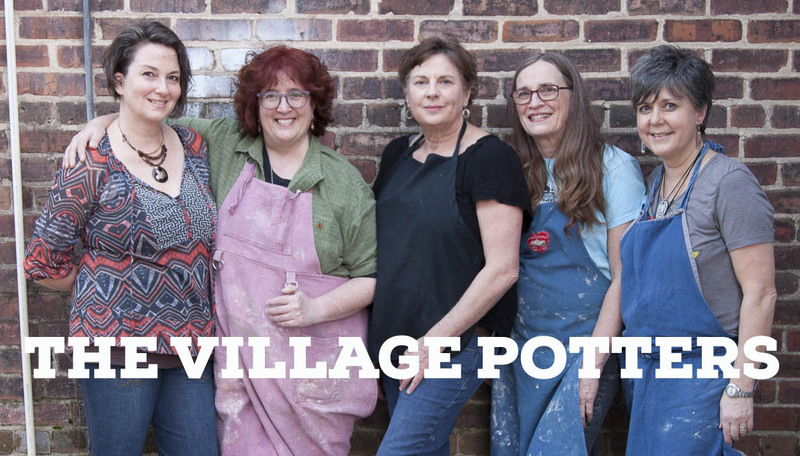 Learn more about the upcoming class schedule, fees, and policies at The Village Potters Website. 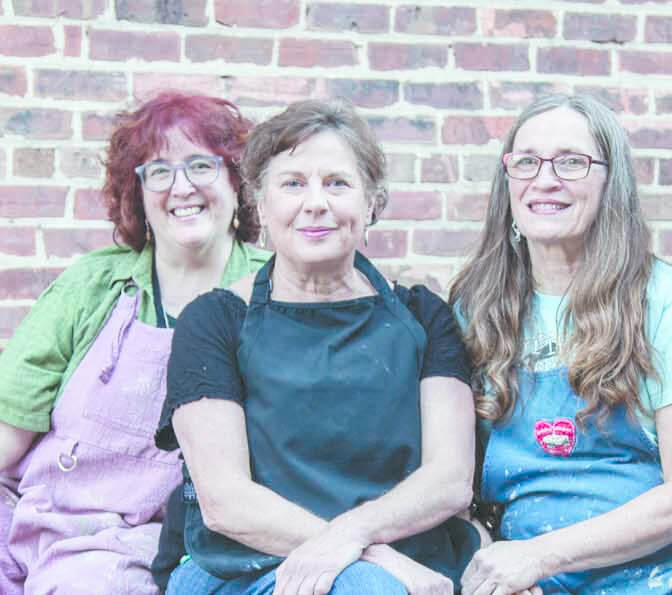 And if you're looking for more than just a weekly class, check out information about The Village Potters' Independent Study & Mentoring Program, where Lori is one of the Mentors. L-R: Lori Theriault, Sarah Wells Rolland, Judi Harwood. The Village Potters' Independent Study & Mentoring Studio Mentors. ​The Village Potters Clay Company is now an official distributor for Laguna Clays. Learn more HERE.